This entry was posted in Liberty, Life and tagged Love not hate. Bookmark the permalink. 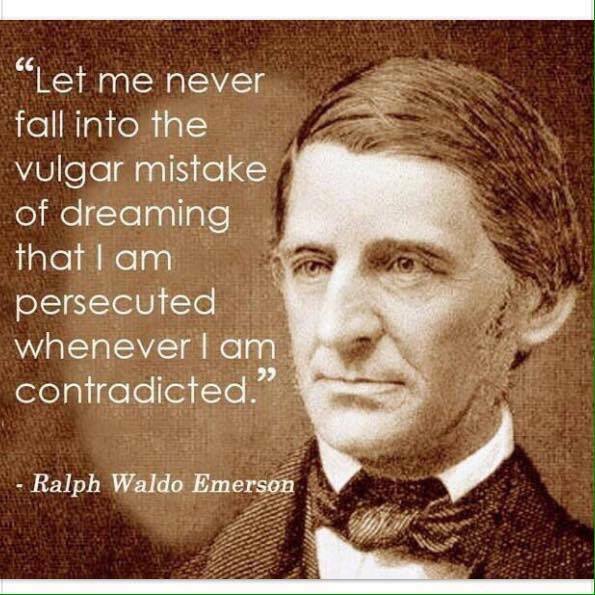 Huge fan of Emerson. “Self-Reliance” is probably my favorite of his essays. I’ve been inspired by Sowell lately. He takes issues with liberals who wanna ‘help’ those folks who need a helping hand when in fact they have really just created a mascot. Looking it up right now…..